For the week of August 6, 2018, this is Diet Science with Dee McCaffrey. Dee is an organic chemist and a diet counselor who lost 100 pounds by staying away from processed foods. Now, every week on Diet Science, Dee covers a topic or two that’s important for you and your family’s health. This is your co-host, Michael McCaffrey. So, Dee, what’s the topic for this week? 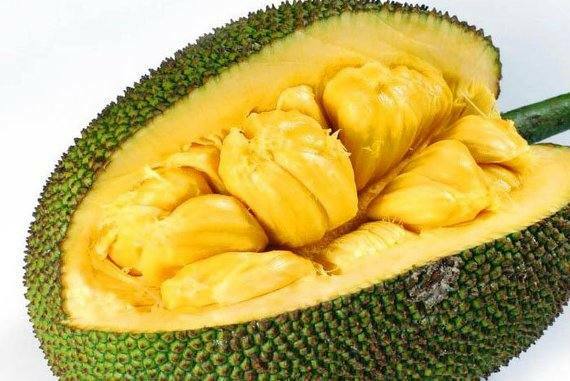 This week we are talking about jackfruit. Yeah, it’s a very interesting type of fruit that grows in South America but it’s getting very trendy here in the U.S. and has been sort of trendy for the last couple of years or so. it’s a fruit that is grown in other parts of the world and you know it’s been probably eaten for, you know, generations of time. It’s kind of new to us, and what is really interesting about it is when it’s ripe, it’s sweet and it kind of resembles sort of like a blend between like a mango, a banana, and an apple. In fact, I read a little thing online that said it’s rumored that the Juicy Fruit gum was kind of developed after the flavor of this fruit, when it is ripe. So when it’s ripe, it’s like a Swedish fruit that has a tropical flavor to it. But the way that it’s being eaten now is actually when it’s not ripe like before it gets ripe so it’s kinda whitish inside and not sweet, but when you cut it open, it kind of shreds out, so people are using it now to kind of like an alternative to meet. So in fact, the first time I had it was at a potluck that I was having with some of my nutrition students and one of them brought some jack fruit tacos. And I was, I was like, wow, what is this, and he was telling me that jack fruit is used in a lot in vegetarian cuisine, because it resembles the texture of meat and it because it kind of doesn’t have its own flavor, just as you’re pulling it open and pulling it out of the fruit peel, so what you cook it with is what the flavor it takes on. So people use it in curries or chili. And I think that probably one of the most popular ways it’s used is kinda like a substitute for pulled pork or for pulled meat of some kind. So depending on what seasonings you cook it with, it will take on those flavors and I have to be honest I could barely tell that it wasn’t meat when I was eating it. So, when you tasted it, it tasted like meat? It did. It had the texture of, you know, the pulled meat and then the flavors that it was cooked with were very, you know, wonderful. In fact, it made me think of that you could use a taco seasoning with this, you could make it even sort of like teriyaki if you wanted to. Like I said, people can use curry seasonings with it. So depending on what you want to use it for, is what types of seasonings you would use to cook it in. Now it is a whole fruit. It grows in other parts of the world, and not necessarily in the U.S.. So the way that most people are getting it here is actually in canned form. And in fact, we just found a a can of it at Trader Joe’s, near where we live. It’s got the picture of the green jack fruit on the front. And by the way, the jack fruit is from the same family as figs. So it kind of almost looks like a prickly fig in a way. it’s got little prickles on the outside of it, and then when you cut it open, it looks whitish when it’s raw and yellowish when it’s ripe. But you buy it in a can, and you don’t have to get it from Trader Joe’s, but you could get it from another natural food store. But it’s in a can, it’s in a brine. That’s kind of what you would want you’d want it in a brine if you use it for, you know, a meat substitute. But if you wanted it to be as the ripe fruit, they do sell it in a syrup, that’s, you know, like, kind of like, you know, canned fruit. I wouldn’t recommend that one, but I’m recommending the raw, the green jack fruit in the brine. So refresh my memory. What is brine? Brine is a salt solution. What it does is it, salt tends to help tenderize the texture of things that makes it softer. A lot of people brine turkeys for Thanksgiving before they cook, that they soak them in salt water, and it makes the turkey nice and tender and juicy and delicious. So you can brine other things as well. So, so, you know, so it comes in a can. So what you would do to prepare it, is you would rinse and drain the contents of can, you can use a colander and drain off the brine. 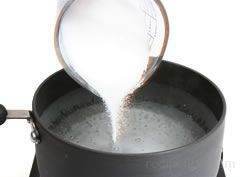 You don’t want it to be too salty, and then you will sort of pat it dry a little bit, get as much of the water out. And then you can either cook it in a skillet with all of your seasonings, and you can use a broth or use something to add to, if you want to use a vegetable broth or if you’re not necessarily a strict vegetarian or vegan, you could use a chicken broth or a beef broth to give it a flavor like that. 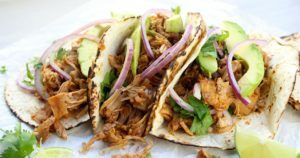 And then on the Trader Joe website, they have a recipe for, it’s basically just like a skillet, a BBQ pork kind of recipe on there for using the jack fruit. In a skillet you just, you know, cut up some onion, use a little bit of oil to sauté, you use two cans of the green jack fruit in brine, drain it and de-seed it. And then the seasonings, just cumin, nutritional yeast, oregano, smoky paprika, which kind of gives it that kind of barbecue kind of flavor to it, a little bit of like salt, pepper, vinegar, lime juice, orange juice, and a little bit of like tamari sauce or soy sauce. 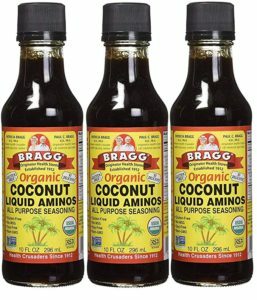 You could use either the Bragg’s aminos is or the coconut aminos. A lot of people use the coconut ones because they’re not soy based. We’ll have a link to a recipe like that. Sure. Yeah, the nutritional profile is wonderful. It’s got a lot of potassium, and vitamins, protein. People really are really liking it for the nutritional value as well. Not just because it makes a good substitute for meat. So it does have a good amount of protein, enough to basically replace meat? Absolutely, yeah, it’s, it’s actually got a nice little nutritional profile with not a lot of calories. So, and, of course, there’s no fat. It has no cholesterol, for those who are really concerned about that. It’s so it makes a great substitute. Well, thank you Dee for another good informative week. Diet Science is the official podcast for Processed-Free America. We’re a non-profit dedicated to eliminating childhood and adult obesity through nutrition education to both young and old. You can catch this podcast and lots of other great podcasts and articles at processedfreeamerica.org. This is Dee McCaffrey and until next time, go forth and be healthy.